Professional locksmith services are significantly important to ensure personal and environmental safety. Oftentimes, these are the type of services that are overlooked by most individuals. Locksmith services are very important for every institution, business, household and even automobile owner. There might be instances when your locks are broken, your keys are lost and sometimes you got locked out of your car or property. A locksmith service is always on fire to help you out of these crucial situations. Locksmiths vary in the type of services they offer. Some fix broken locks and make keys, while others install security systems. There are also those who know everything about locksmithing jobs. Some instances like being locked out of one’s vehicle or having malfunctioned keys are very unpredictable events. That is why it is important to have a locksmith who can be trusted with a 24-hour service. Always make sure that this automotive locksmith expert is knowledgeable in handling various types of automotive locks. It is therefore important to have reputable and dependable locksmith for your various locksmithing needs. Knowing we have skilled locksmith around equipped with all necessary tools is such a peace of mind. Home security is also very essential as well as on commercial facilities. We cannot predict people with bad intentions like burglars who are going to intrude in our properties. There are locksmiths who are expert in installing security systems for our most prized possessions. It’s not only our valuables which are of great importance. Our family members too need security. That is why it’s vital to ensure that all locks in our home are working efficiently and effectively. 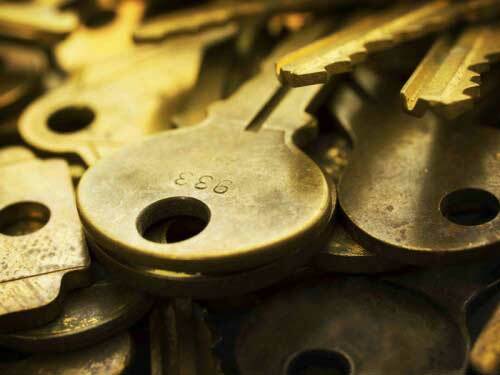 At times, choosing for the right locksmith company is not as easy as it seems. We need somebody who we can rely on and very honest with their dealings. In order to avail of the most exceptional locksmithing job, you have to know these tips in choosing a professional locksmith service. An established locksmith company is the one which has been doing reputable business professionally for more than several years. Make sure that the locksmith company is operating under the same name for years. Oftentimes, locksmith companies change their names to ditch bad reputation. A reputable locksmith company will have a registered business address or office address. Knowing that your locksmith has a shop will assure that they’re not here today and gone tomorrow! It is also important to check the background of the locksmith company you’re considering to hire. You can ask each potential candidate for some references. It’s best to get both personal and professional references. If you feel that the locksmith balks about this particular requirement, then keep looking. An honest and well-mannered locksmith will provide the full information you need before hiring. You can even interview the locksmith and ask them about their experiences. Don’t settle for low-priced services because they are new in the business. This can compromise the security of your property. Search online on Google, MSN or Yahoo, to check for BBB certification. Also, look at the BBB record for any complaints about their services and performance. If a locksmith company has terrible and unpleasant remarks or a less than B rating, then go for someone else. Another thing you should check is the type of service a locksmith company is offering. You can get the list from their website or you can even request them to provide one. You may need to unlock a digital safe or want to install a new safe. So it’s good to check whether your chosen locksmith provides this type of service. Also verify whether the locksmith offers services outside of normal working hours. It’s much better to deal with one company for all your locksmith needs. So be sure that the company to consider is versatile in the services they offer. Often, an ongoing relationship with your locksmith company will result in a discounted pricing and a much better service. A licensed, bonded and insured locksmith company is definitely concerned about its reputation. This is a sure sign that their service is legit. A reliable locksmith company wants to protect their business’ name and reputation for long term. Scammers can often hit any city or area hard and may move on when the heat is on. It’s easy to identify a legitimate company. You just have to ask for the proof of bond, license or insurance. The dubious ones are those who are hesitant to provide a proof. A good automotive or all-around locksmith is registered within city of state, and has a business license in good standing. You can easily verify this online or personally visiting their office. A professional and legitimate locksmith company should have a registered trademark. Always check if a locksmith company has a registered trademark painted on their service vehicles. This can be identifying marks such as a company name or a logo with contact details or company information. Some scammers post ads online, in phone books, and even in newspapers. They will be advertising themselves and claiming as locals. A local phone number doesn’t guarantee a local locksmith company. You should verify this by ringing the number and confirming if it’s really a locksmith company. Some scammers also use many aliases in the phone books. Be sure that you are not being scammed. If a company is not local, you won’t be able to reach them and ask for assistance if there’ll be a problem later on. Professional locksmiths have wide range of tools and expertise to provide high quality service. They can easily unlock all types of doors without drilling. So you can save on spending or buying for new set of locks. Also, be sure to consider a locksmith company with a 24/7 service as lock outs are totally unpredictable. It is convenient to have locksmith service anytime of the day and any day of the week. Whether you’re interested in installing a complete access control system, or a simple re-keying job, you can always get a free estimate by fax or phone. Most general or automotive locksmiths supply estimates before their work begins. This estimate comes along with a detailed itemized invoice once the work is over. The cost will depend upon the service you’re interested in. Having locks rekeyed will cost far less than having an access control system installed. Most locksmiths provide a free quote before they begin with work. You can get a copy of their pricing structure from their respective offices. Or you can ask them to send it through fax or by email. After receiving a quote inspect for other charges or fees. Once you get several quotes, you can now make a comparison and fix your selection.